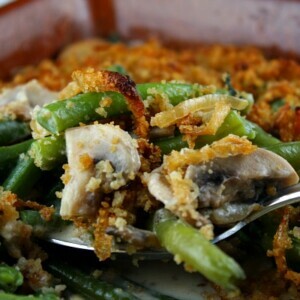 This recipe has been featured in a post on The Recipe Girl Blog: Gluten Free Thanksgiving Menu. 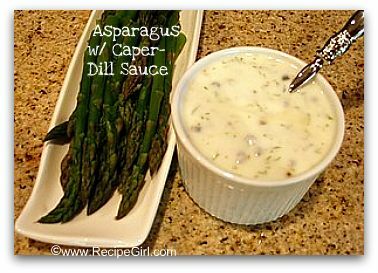 The recipe below is not written as gluten free, but it is easily adaptable. Please see tips below the recipe to prepare it as gluten free. 1. Prepare beans: Bring water to boil in a large pot. Fill a large bowl with ice water. Add the salt and beans to the boiling water. Cover and cook for 6 minutes, or until crisp-tender and still bright green. Drain the beans in a colander, then plunge them into the ice water to stop the cooking. Drain in the colander again. Pat with paper towels to dry completely. 2. Caramelize onions: In a large skillet, heat 2 Tablespoons olive oil over medium-high heat. Add onions and let cook, stirring occasionally. Reduce heat after about 10 minutes to medium-low. Sprinkle onions with sugar, and continue to cook, stirring every so often to prevent over-browning or burning, until onions are caramelized and soft. This should take a good 20-30 minutes (don't rush it with a higher heat), and the onions should be caramel-colored and sweet. Set aside to cool. 2. Prepare topping: In food processor, place bread (or stuffing cubes), butter and seasonings and pulse about 10 times. Scrape crumbs into a medium bowl, and stir in the onions; set aside. If making ahead, transfer to a storage container and refrigerate. 3. Prepare sauce: Melt butter in a skillet till shimmery. Add the mushrooms, garlic, salt and pepper. Stirring often, cook until mushrooms begin to soften and exude their liquid, about 6 minutes. Stir in flour and cook a minute. Add the chicken stock and sherry & bring to a simmer. Add the half & half; simmer until sauce thickens, about 10 to 15 minutes. Taste and adjust the seasonings. Stir in the cooked beans till they're evenly distributed throughout the sauce. 4. DIRECTIONS FOR COOKING RIGHT AWAY: Preheat oven to 425°F. Transfer bean mixture to large greased baking dish or 9x13 casserole. Top beans with topping and bake for 20 to 30 minutes. 6. DIRECTIONS FOR COOKING LATER: Transfer mixture to a large greased baking dish or 9x13 casserole. Cover with plastic wrap and refrigerate. When ready to bake, return to room temperature (it takes about 2 hours to reach room temperature). Remove plastic wrap. Heat in preheated 425°F. oven for about 30 to 35 minutes. Add topping and bake for another 15 minutes. *This recipe is gluten-free adaptable. 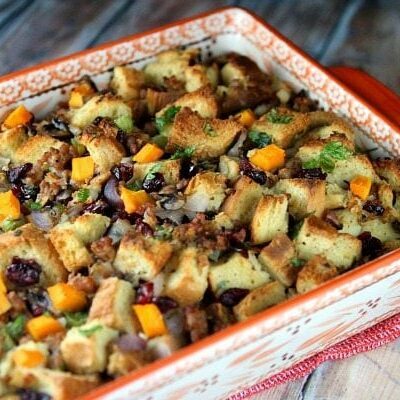 Use gluten-free bread, or use dried bread stuffing cubes that are gluten free. Whole foods sells a dried bread cube stuffing mix during the fall holidays that is excellent. Also use GF flour in place of all-purpose flour and be sure to use GF chicken broth. 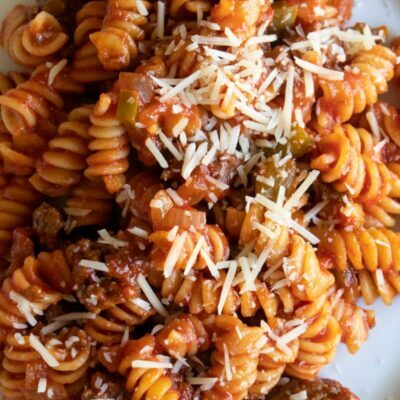 Source: The base of this recipe comes from KitchenParade.com, where you'll find the classic version made with french fried onions. I changed things up a bit and made a caramelized onion-crumb topping instead. Thank you! This is the first recipe that I’ve seen that doesn’t involve canned soup and crispy onion strips. 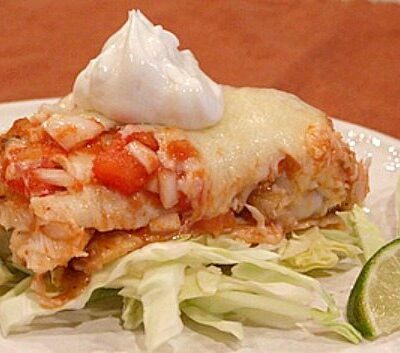 I have to eat gluten-free, and this will be so easy to make. 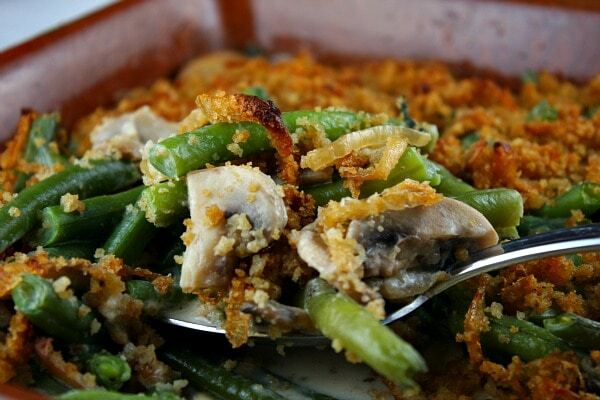 Green Bean Casserole is one of my favorite Thanksgiving traditions that I have had to forgo since I became wheat-intolerant. I can’t wait to try this recipe!